Hemp seeds are not controlled by the Single Convention on Narcotic Drugs of 1961, as amended by the Protocol of 1972, ratified by the Spanish State, that regulates for the control of the flowering or fruiting contents of the cannabis plant, as well as resin obtained from the cannabis plant, but expressly excludes the seeds. Seeds are excluded from the legal concept of cannabis and are not included in their annexed lists. The article 1.b of the Convention defines “cannabis” as: “the flowering or fruiting tops of the cannabis plant (excluding the seeds and leaves when not accompanied by the tops) from which the resin has not been extracted”. In its art. 28 it also states that “This Convention shall not apply to the cultivation of the cannabis plant exclusively for industrial purposes (fibre and seed) or horticultural purposes”. National laws regarding Cannabis seeds largely differ from one country to another. In some countries the simple possession or sale of cannabis seeds is illegal and can be punished with deprivation of liberty. For this reason, please inform yourself about the local laws. Sweet Seeds® S.L. does not want to induce anyone to act against the law in force in any country. 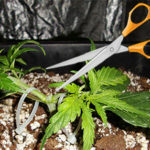 Some countries punish acts of cultivation, while other countries allow them for industrial, scientific, educational, medicinal or personal use purposes. Sweet Seeds® S.L will have no liability for any legal problems that may arise, and will not make refunds for seized or rejected materials by Customs in the execution of their duties. The fact that some descriptions allude to the effects of consumption, in no way means that one can or should consume them, as these are simply informative descriptions. 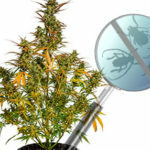 Spanish criminal law criminalizes against public health the conduct of cultivation or possession of plants capable of producing narcotics developed with the purpose of promoting, favouring or facilitating illegal consumption. The marketing, possession or ownership of hemp seeds or cannabis seeds is not a crime. Sweet Seeds® S.L. 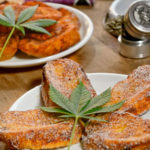 commercializes hemp seeds as articles for collection purposes and genetic preservation, with the specific restriction that they are not used for purposes that contravene current regulations or to promote or facilitate illegal consumption of prohibited substances. Our seeds are collectible articles for sale exclusively to people over 18 years of age. Sweet Seeds® S.L. excludes all responsibility for the decisions that the user may take based on this information due to possible typographical errors that may be contained in the documents and graphics on the page or derived from the misuse of the seeds that the company commercializes. The information is subject to possible periodical changes without previous notice of its content by extension, improvement, correction or updating of the contents. Sweet Seeds® S.L. encourages its clients to act responsibly.